Plenty of action around the inland Northwest today, and you can find many options in our event listings and carefully culled Staff Picks. Memphis arrives at the INB Thursday, and plays through Sunday. 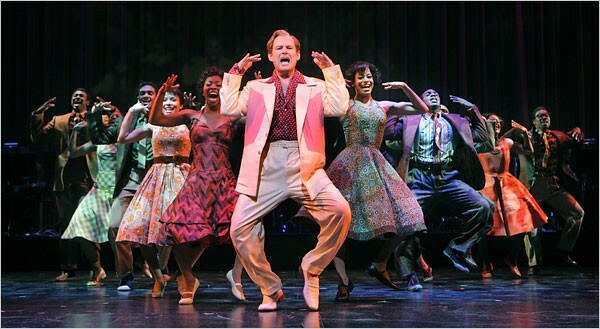 THEATER | The touring Broadway musical Memphis starts its four-day run at the INB Performing Arts Center tonight. I got to see it last year, and this show is far from your typical overly sweet musical, bringing some genuinely great music to a story of racial politics. THEATER | Orphans continues its run at the Spokane Civic Theatre, bringing the story of two brothers searching for a father figure to vibrant life. WORDS | If you missed your chance to see Pulitzer-winning author Marilynne Robinson at Gonzaga last night, you can still catch her tonight at Auntie's at 7 pm. Here's our interview with Robinson.